Nicole Scherzinger has been officially announced as the replacement to Cheryl Cole on the US version of musical talent show 'The X Factor'. Cheryl Cole has been officially replaced by Nicole Scherzinger on the US version of 'X Factor'. The 27-year-old singer was rumoured to have been sacked from the show after just four auditions nearly two weeks ago, and it has now been confirmed 'Don't Hold Your Breath' hitmaker Nicole will move from her job as a co-host on the show to an official role on the judging panel alongside Simon Cowell, L.A. Reid and Paula Abdul. Welsh presenter Steve Jones will now front the show alone. A statement from Fox, Fremantlemedia North America and Syco TV read: "Nicole Scherzinger will be replacing Cheryl Cole on the judging panel of 'The X Factor'. "Nicole will join Simon Cowell, L.A. Reid and Paula Abdul on their search across America to find the next global superstar or group to win the life-changing $5 million dollar recording deal. "Nicole has previously joined Simon Cowell as a guest judge on 'The X Factor' for the UK version of the show in 2010. Steve Jones will act as sole host of 'The X Factor'." 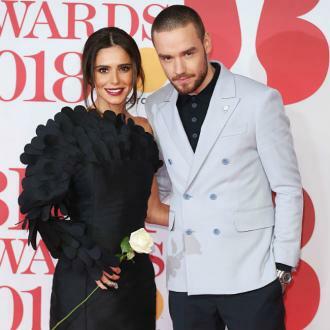 However, contrary to reports she was fired, it has been claimed the decision was mutual between Cheryl - who has declined the chance to return to the UK 'X Factor' - and producers on the show. A source told Entertainment Weekly: "After the Chicago auditions, producers suggested she might be happier returning to the UK panel and her management clearly indicated she'd be happy to consider that. "It wasn't meant to be the case she was being fired. She was offered an alternative [to work on the UK version] for more money where they thought she might be happier."